T-Mobile has announced that it's relaunching its Layer3 IPTV service later this week in eight US cities including Chicago, Dallas-Fort Worth, Los Angeles, New York City, Philadelphia, San Francisco, and Washington DC metro areas, as well as Longmont, Colorado. 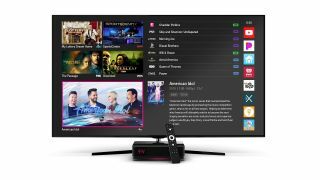 The service, which will go by the new name TVision, isn’t quite the same as a full-on streaming service – you’ll still need a box from T-Mobile to use it – but it could be a more manageable step for folks looking to cut the cord. Of course, you'll have to pay for that manageability, as the service will more or less cost just as much as a regular cable bill: $90 per month for new customers, plus $10 extra per screen per month. That monthly fee will get you around 150 channels per month, but you'll still have to pay additional fees for premium channels like HBO and Showtime. That said, there are some edges TVision has over Netflix and others, according to T-Mobile. The company won't change your pricing at any point in the entire length of your contract and TVision combines streaming services into the same TV interface. TVision is also compatible with Google Home and Amazon Alexa devices, too. In T-Mobile's defense, the company is trying to give consumers a better deal than they get with the deceptive practices of the cable industry – or, as T-Mobile calls it "the Cableopoly" – and the carrier has plans to roll out its long-promised streaming service sometime later this year. The problem is that TVision is both relatively restricted (you need to go through T-Mobile hardware to access it) and wildly more expensive than services like Sling TV, PlayStation Vue and YouTube TV, that range in price from $25 to $45 per month. Those services might not offer all the channels that T-Mobile plans on offering, and they require you to own a streaming stick or a smart TV to watch them on your TV, but they still seem like significantly better values than TVision. While it doesn't look like a great deal for cord cutters on paper, we'll reserve judgment until TVision releases on April 14.